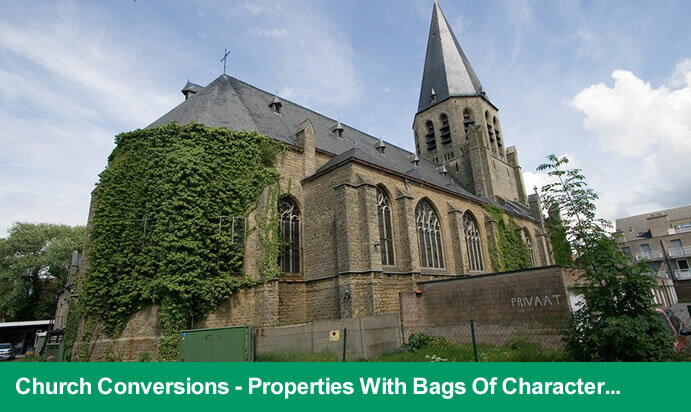 Sell your church conversion and unconverted church or chapel now! Where to sell your church? Add your property to UnusualHomes.co.uk of course! Churches are great for converting to a really unique and unusual property. You can list your church for sale or search for a converted church or chapel to buy. Unconverted churches are obviously far cheaper and allow you to put your own mark on - however, they can be a lot of hard work, complex to complete and very expensive to maintain! Planning permission: Does the church you want to buy have planning permission to be converted into a dwelling? Churchyard Problems: Churchyards are usually public, if you buy a church, do you still have to allow public access to the graveyard and if so, how close is it be to your future home? Grade 1/2 listed: Many churches are protected by Grade 1/2 listing restrictions, this could mean very costly and restrictive renovations that must be sympathetic to the rest of the structure. Is the church you are about to buy Grade 1 or 2 listed? Damp: Damp problems can be more complex when it comes to renovating a church. Make sure you get a specialist damp survey completed as the remedy could be far more expensive than standard solutions. Local Area: Not everyone approves of their local church or chapel being converted into a residential dwellingand can prove unpopular. Make sure you experience the area first before expecting to 'settle in' with the new neighbours.. Condition: Make sure you give a good description of the condition so buyers are aware of work that needs doing. Potential: Highlight the potential for the church, include plans if you have planning permission to give the potential buyer an idea of what it could be like. History & Architecture: Many churches and chapels have interesting architecture and colourful histories. Research this and add it into the description to create an engaging and informative advert to attract more potential buyers. Photos: Add as many photos of your church as you can to provide as much insight into the property as possible. Include photos of refurbishment or restoration and highlight any unique design features.